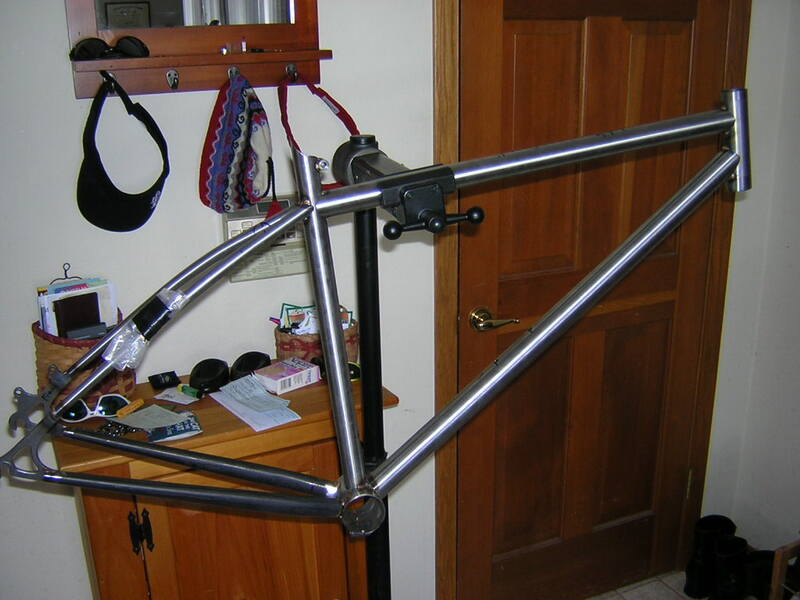 I just got photos of my new Wily frame all tacked together and ready for brazing. I love the curved seat stays. those seat stays are the cat's pajamas. do you know if they effect ride quality or are they just aesthetic beauties? I am not an engineer. But, I will give it my best shot: I would say that a curved stay will flex more than a straight stay. I guess that the Jones compliant frames are the best example of this. I am hoping that this frame will be a bit more forgiving than my KM. From what I have heard about Wily frames it should be. beauty of a bike! the curves are nothing short of art. 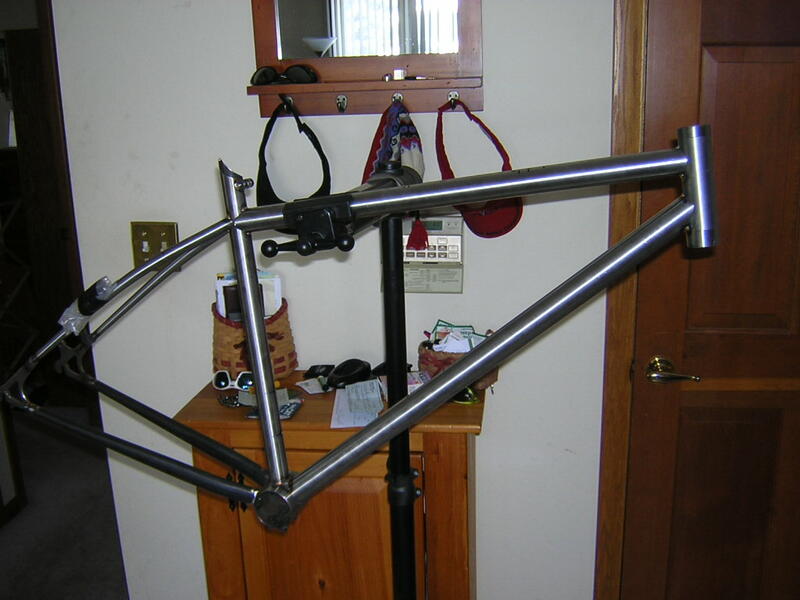 lots of new, naked frames around here. Is this where we post pics that aren't good enough for Pission?